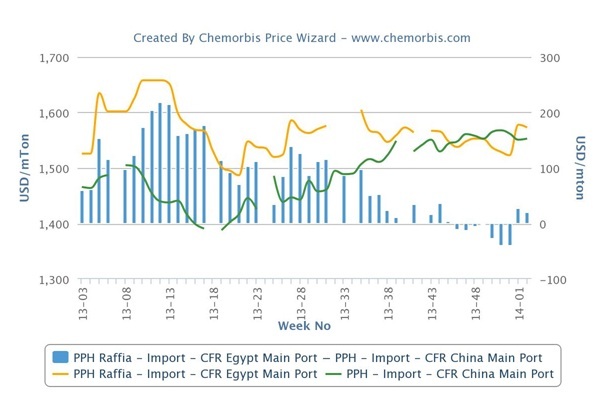 PP markets both in Turkey and Egypt lost their premium over China in the beginning of October as per the pricing service of ChemOrbis, as can be seen from the graphs below. Import PP offers given to these countries traded well below China almost until the end of 2013 despite their smaller market share and higher freight rates. This was due to the downward pressure from European markets and lower costs. Many global producers preferred to shift their allocation to China in this two-three month period as China, where demand remained quite satisfactory amid supply issues, provided much better netbacks than Turkey and Egypt. However, these countries started to close the growing gap throughout December particularly by the end of the month in line with the higher settlements of the propylene contracts in Europe. 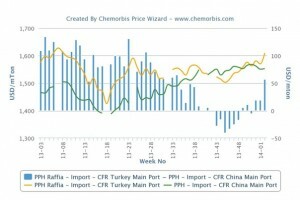 January offers from regular sources have recently been revealed higher in the import markets both in Turkey and Egypt, helping PP prices regain their traditional premium over China. In the meantime, China’s PP market has been stable recently following the modest declines in the last weeks of 2013 amid slowing market conditions prior to the Chinese New Year holiday. The recent price hikes in Turkey have been particularly prompted by short prompt supplies in the local market. 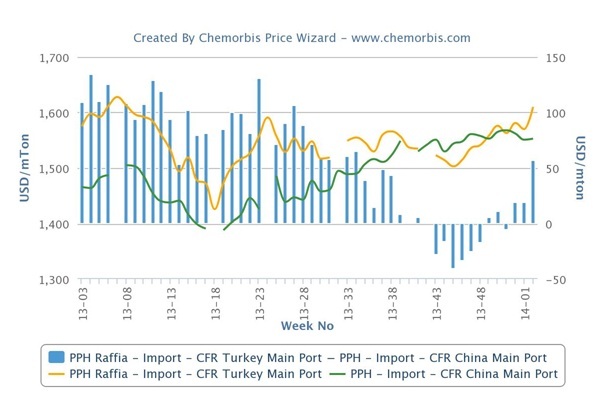 Even though slowing market conditions prevail in China due to the looming holidays and crude oil and naphtha prices are sharply down, Turkish players generally concur that these may hinder additional price hikes in the import market rather than cause lower levels. “The tightness is so severe that it overshadows the other factors,” commented a player. 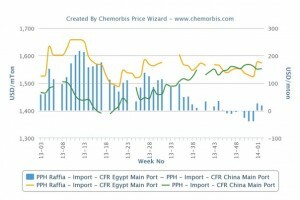 According to ChemOrbis, players in Egypt continue to report limited availability from Middle Eastern suppliers for January as well. The local market has also been facing tightness due to the absence of EPPC and the rising US dollar parity.